Let your colleagues, customers, donors and other constituents know that you are fully committed to environmental stewardship by using some of the following best practices in green printing. Encourage your constituents to either share or recycle the printed piece. 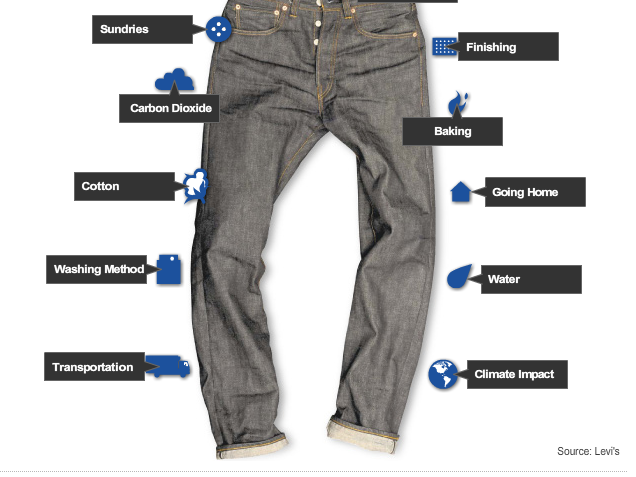 Sustainability is more than the materials you use—it also involves the lifecycle of your item. Consider using chlorine-free paper. The best papers to use are bleached using an oxygen-based process, thus avoiding the creation of chlorine-related pollution. 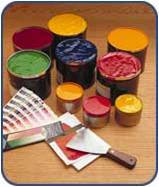 Use vegetable-based inks when possible. Not only are they generally refined in the United States, but they also reduce our use of petroleum, the majority of which comes from foreign sources. Consider papers with a high degree of post-consumer content, as they require fewer resources (energy, water, etc.) to produce. When using eco-friendly papers, make sure to explain the environmental benefits derived from these choices. These calculations should come from a third-party source rather than a calculation from an industry source. For a great example, please see www.papercalculator.org. Use renewable energy (like wind or solar power) in the production process. It is good for the environment and resonates well with the vast majority of Americans. You can make your collateral more environmentally-friendly without sacrificing quality or adding cost! For example, our house sheet of coated stock is 55% recycled with 30% post-consumer waste, and will not cost your organization any more than the non-recycled alternative! I hope you have enjoyed reading these suggestions. To download the full set of 100 tips, please click here. Many thanks for your interest! 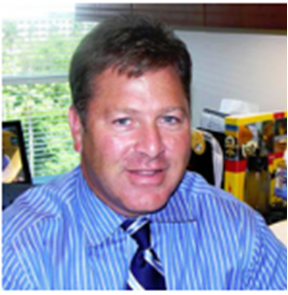 In our effort to explore green business issues and the impact sustainability has on organizations’ purchasing patterns, we are proud to interview Wayne Evans, Senior Vice President for Procurement, the Americas, DHL. During the interview, Wayne reflected on his team’s commitment to sustainability, and how he and his colleagues have found that green business practices can help save money. If you have any questions that you would like to submit to Wayne, please let us know. 1. Could you tell our readers a little bit about DHL and the kind of work you do there? DHL is part of Deutsche Post DHL. The Group generated revenue of more than 46 billion euros in 2009. DHL commits its expertise in international express, air and ocean freight, road and rail transportation, contract logistics and international mail services to its customers. A global network composed of more than 220 countries and territories and 300,000 employees worldwide offers customers’ superior service quality and local knowledge to satisfy their supply chain requirements. DHL accepts its social responsibility by supporting climate protection, disaster management and education. In my role as Head of Procurement for DPDHL Americas I am responsible for purchasing more than $1b of goods and services across 22 countries. I manage a team of 70 individuals that have buying and sourcing experience in categories such as transportation, fuel, packaging, travel, production equipment, etc. My day-to-day activities are focused on leading the team, meeting with business partners to understand their needs, and meeting with suppliers to better understand new products in the market. 2. When did DHL first start talking seriously about green strategies? DHL has been working on green strategies for many years. In 2008 the company completed a major initiative designed to baseline the carbon footprint of the Company. This was a critical step as it established criteria by which we can measure progress against an established goal. 3. Would DHL pay more for a green-sourced product? There are many considerations involved in a sourcing decision but in fact it is possible to pay more for a green product. This can happen as the Total Cost of Ownership (TCO) is factored because initially it might appear that the cost is higher but when you factor the operational costs the product might in fact be lower in cost. As an example, if we look at the TCO for a truck we may find Vehicle A has a slightly higher cost than vehicle B. However, the higher-priced vehicle has greater fuel efficiency which is greener and over a period of time the total cost of ownership (TCO) is lower. In another situation we did make a conscientious decision to buy recycled paper at a slightly higher cost because it is better for the environment. 4. In which areas does DHL most frequently make green-minded business decisions? Transportation has the largest impact on our carbon footprint and therefore it is the critical area to focus on. This is a large part of our business and there are many levers that we can use to reduce the carbon impact. We are heavily engaged in hybrid vehicles including trucks and we also look for ways to use electric vehicles and even bicycles where possible. 5. What have been the major trends in green procurement over the last few years? One of the core goals of procurement is to identify different ways to drive down costs. There are different ways that procurement organizations can combine cost savings with green initiatives. One example is recycling items such as stretch wrap. Many companies use a significant amount of this product to package and ship. In the past during the unpacking process the materials were removed and thrown in dumpsters for disposal. One of the more recent trends was to add a bailer which is a container used to gather the plastic waste materials and they are picked up by recycling companies who process this material into something like a pallet. Companies can actually receive money for the used packaging materials and they use less space in dumpsters which lowers the cost of trash pick up. Procurement professionals are also starting to look at ways to evaluate suppliers with regards to their “greenness”. Based on this evaluation, suppliers will be given credit for being a green company and in close bid situations it could be a deciding factor. Another trend is demand management, where procurement professionals are getting engaged in minimizing the amount of product needed. By using only what companies need there will be less waste and less cost. 6. Can you tell our readers a bit about the GoGreen strategy at DHL? Our goal is to improve our CO2 efficiency by 30% by 2020, compared to a baseline of our 2007 performance. To help us monitor our progress towards our 2020 goal, we have set ourselves an interim target to improve the CO2 efficiency of our own operations by 10% by 2010. The ability to calculate our own carbon footprint is a key prerequisite of our GoGreen Program. We need to identify opportunities for reducing our footprint and to track how much we have changed our ways. We also need the data to offset our GoGreen products and services, and in due course to calculate our customers’ individual footprints. 7. Do you think the organization thinks about green issues differently since it is based in Germany? 8. What kind of impact has the recession had in shaping or modifying the green strategy at DHL? The recession has not had much of an impact because as previously mentioned “green is typically lean.” Some of the projects with longer term ROI and high capital investments could have been impacted as companies were trying to conserve cash flow during the recession. 9. What kind of difficulties have you faced implementing GoGreen with workforce and management? Since the green initiative is a CEO-sponsored and lead initiative it has not been difficult getting support. The only challenges come when there are large capital outlays required without a sufficient business case. 10. What has been your greatest triumph in implementing the Go Green campaign? We support four (4) businesses in the US and each is very independent. We have been successful in pulling them all together and aligning strategies. We have many projects that were initiated such as recycled paper, hybrid vehicles, alternative lighting, etc. 11. What has been the biggest struggle or challenge in implementation? In some cases it is not always easy to make clear sourcing decisions based on the supplier’s “greenness” as there are no real standards for accurately rating a supplier. 12. Could you highlight a few examples of unique contributions DHL has made in the area of sustainability? Our “go green product” allows customers to pay a small additional fee to offset the carbon impact of the shipment. This money is used to plant trees and funds other programs that offset the impacts of the shipments. Image courtesy of Whole Story - the official Whole Foods Market blog. 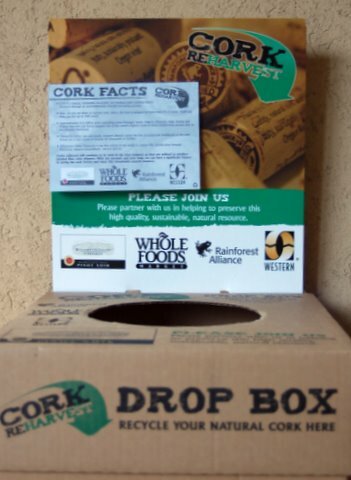 Earlier this spring, Whole Foods Market and Cork ReHarvest announced a partnership to allow Whole Foods customers to leave wine corks in drop boxes in all Whole Foods stores in the United States, Canada and the United Kingdomto be recycled. This is an interesting program with a great focus on the lifecycle of products. Although many people recycle cans, bottles and newspapers, too many other products slip through the cracks and end up in landfills. I have written in the past that all products that cannot be recycled in towns and municipalities at curbside should come with instructions on how to responsibly be disposed of when finished. Whether this includes empty toothpaste tubes or laptops, it is important for companies to not only focus on the green marketing message at time of sale, but also the environmental considerations at the end of the product’s lifecycle. Whole Foods has been an industry pacesetter for some time, having announced a partnership with Preserve in early 2009 to allow customers to bring in hard-to-recycle #5 plastic to stores to be recycled. This includes Brita filters, which too often find the trash after two months use. Here is some additional coverage on the Whole Foods blog from April 2010. My firm, Grossman Marketing Group, also tries to do its part by not only using environmentally-friendly products but also allowing our employees to bring in used lightbulbs (CFL), batteries and paint from home to be recycled. Consumer goods and electronics companies have a long way to go to ensure that their customers know the facts about what to do with their products when they are finished using them. However, these partnerships that companies like Whole Foods have created are an encouraging step – and probably a very good way to continue to build their brand and encourage store foot traffic at the same time! Target Marketing recently published an article titled “The Return of the Green Mail Debate,” which I wanted to share. The article’s premise is that during this economic downturn, sustainability is less important to marketers, and that once the economy rebounds there will be more interest from companies in being green in their marketing efforts. I believe this message is a short-sighted one. As I have written over the past couple years since the economy started to dip, companies that slash their commitment to sustainability to cut costs will suffer long-term consequences with customers who are increasingly demanding that organizations they buy from do business in socially-responsible ways. I do agree that sustainability is more important to certain companies than to others, depending on the markets that they serve. However, the writer and some of his subjects imply that a barrier to “green mail” usage is due to its higher cost structure and that only once economy rebounds will it make a comeback. This article fails to mention that people can be greener about their mail without it costing their organizations any more money. The fact that people can use wind power, soy-based inks (if printed offset) and certain types of recycled paper without any additional cost, is crucial to understand, as there is a rampant misperception in the marketplace that going green costs more. If people work with the right production partner, they can go green in a way that does not have a negative impact on the bottom line. Marketers need to be sensible about watching expenses, especially when the economy is still weak. However, if there were better education in the marketplace (from the U.S. Postal Service, the Direct Marketing Association, etc.) 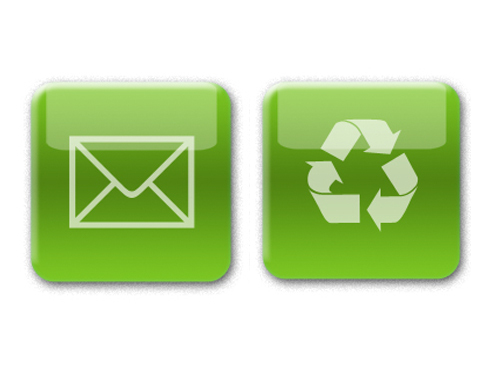 about ways to go green at no extra cost, I am confident that not only would marketers make more sustainable choices, but customers would come to expect that mail be done in a green way. These would be positive developments, and would help ensure that direct marketing leaves less of a footprint on our fragile planet moving forward. On this blog, my summer colleague, Lenora Deslandes, discussed her observations on the Environmental Defense Unconference in Boston. One of the main ideas she highlighted was the need for companies to share best practices in sustainability in order to advance our common good. GreenXchange: A joint initiative between the Creative Commons, Best Buy and Nike to be launched next year that will allow companies to contribute patents and be able to charge licensing fees for interested parties. It remains to be seen how successful either of these initiatives will be (there are only 100 patents currently shared on the Eco-Patent Commons, and the GreenXchange has yet to go live), but these developments are encouraging. 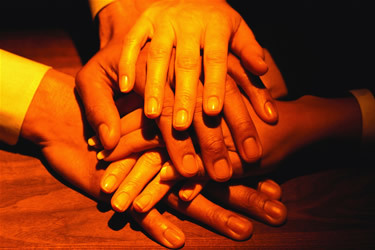 As I have seen in my business and those of our clients, learning about the tactics and strategies other organizations are employing to operate in a sustainable way has the potential to add tremendous value and contribute to the level of dialogue and ideas exchanged both in individual firms as well as in our society as a whole.